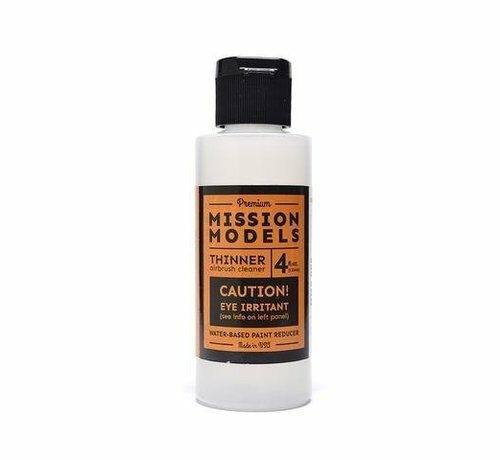 This is Mission Models 4oz Acrylic paint Thinner and Airbrush Cleaner. 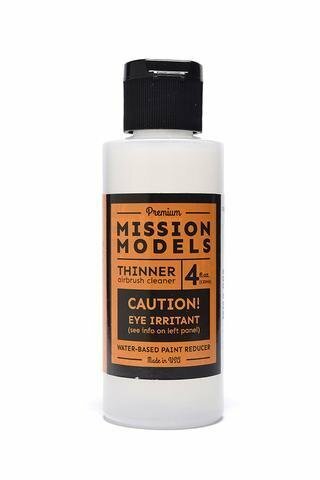 Our high grade acrylic thinner is a very powerful formula. When mixing your paint we recommend a ratio of 20-30% to 1. Or 2 to 3 drops to 10 drops of paint. Same ratio for our Primer. These are the ideal ratios for perfect result. Over thinning will cause more transparency in the paint. Once you mix paint to our recommended ratio you can then mix to suit your needs.